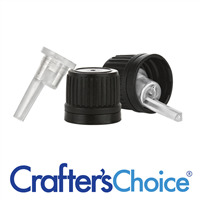 This black tamper-evident cap and orifice reducer fits on bottles with an 18mm style top. The orifice reducer is natural in color an designed to dispense liquid one drop at a time with a .040" orifice. 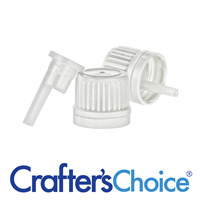 One set includes one cap and one orifice reducer. 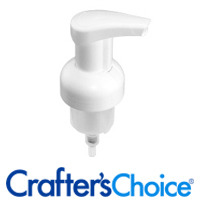 This white tamper-evident cap and orifice reducer fits on bottles with an 18mm style top. The orifice reducer is natural in color an designed to dispense liquid one drop at a time with a .040" orifice. One set includes one cap and one orifice reducer. This closure fits containers requiring a 40 mm foamer top. No liner. Dip tube length designed for exact fit of table top bottles. 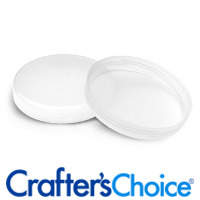 This closure fits containers requiring a 71 mm top. No liner.